It’s getting tight, very tight. On Tuesday night, Millwall’s win at Shrewsbury has seen the pair close the gap on the Bantams, whilst Rochdale’s thumping of Port Vale means they still can’t be fully discounted. Oxford are all but out of it, but their Wednesday home defeat to Fleetwood means the Cod Army are now three points ahead of the Bantams. On a more positive note Southend were beaten 1-0 at home to Bolton on Tuesday (ending a run of four straight wins). Prior to last week’s victory over Walsall, Stuart McCall suggested three more City wins might be enough to seal a play off finish. But if Millwall keep winning, and Scunthorpe and Southend get back to winning ways, at least three more wins might still be needed on top of defeating the Saddlers. The midweek League One results have further emphasised just how vital the win over Walsall was. Another victory at Gigg Lane will take City a step closer to sealing an extension to the end of the season, a defeat could leave them hanging on the edge. Bury will be desperate for the points too. Whilst Shrewsbury’s defeat to Millwall would have been cheered the Shakers, as it kept them three points above the bottom four, Lee Clark’s side still need a couple of victories to ensure League One football next season. Like City, Southend, Millwall, Fleetwood and Rochdale are on the road this weekend with trips to sides in and around Bury in the lower reaches of the division. The Shrimpers are at Charlton, who continue to flatter to deceive, whilst Millwall are at a Gillingham side in poor form (no clean sheet in last 19 games). 13 miles away from City’s game at Bury, Fleetwood will be at 19th-placed Oldham. Rochdale go to a Shrewsbury side winless since the middle of February. Meanwhile Scunthorpe United welcome second-place Bolton to Glanford Park. None of City’s play off rivals have straightforward fixtures. Expect a surprise or two. 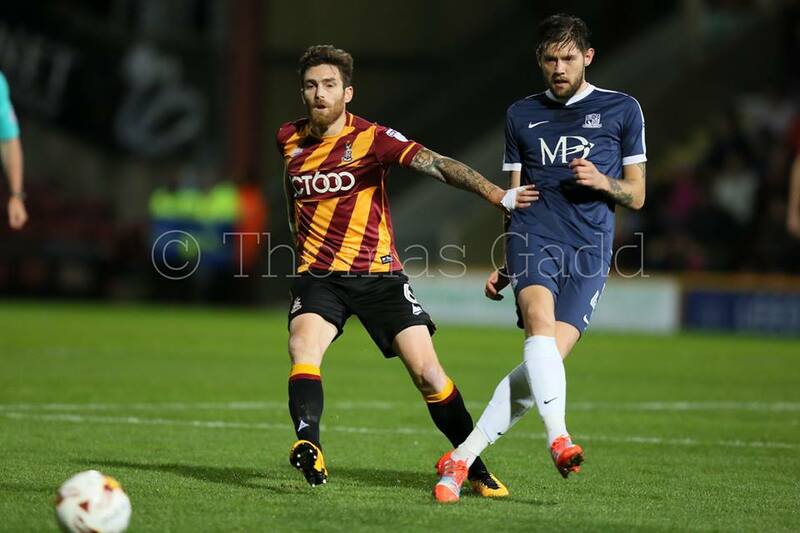 It’s been another difficult season for Bury, who started the campaign impressively and were 2nd in the league when they came to Valley Parade in the CheckaTrade Trophy at the start of October. A club record 12 straight defeats followed, sending them into the bottom four, but under Clark they have bounced back to climb out of the relegation zone. Bury have the worst defence in the division, which should offer encouragement to Stuart McCall’s men. But their attack isn’t bad and they’ve scored more goals than City themselves. Signing the injury-plagued James Vaughan in the summer looked to be a huge gamble, but the former Everton man has managed to stay fit and banged in 22 goals for Bury. Only Billy Sharp has outscored him this season. Bury have the fifth-worst home record in League One – they tend to either win or lose rather than draw. 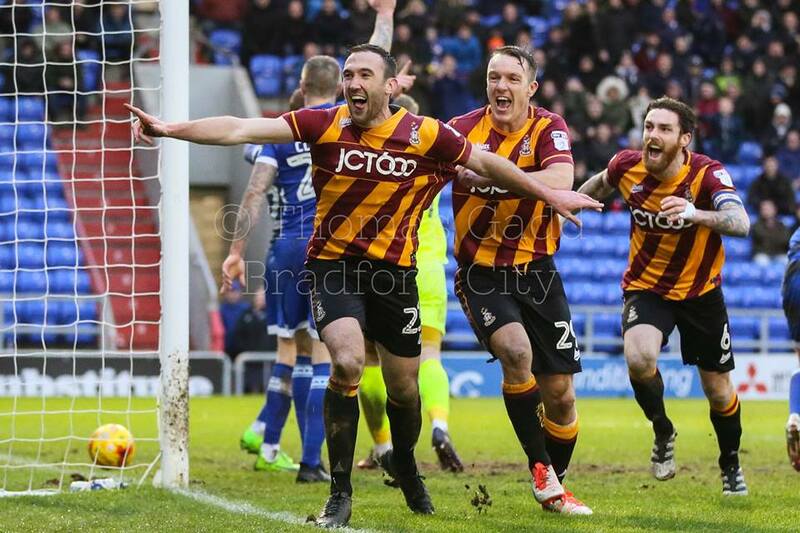 When they came to Valley Parade in December they were just at the end of that wretched run. Four wins from the last 10 games is helping them to crawl towards safety. After the mixed success of playing so open in the last away game at Scunthorpe, will McCall be brave again and play a 3-4-3? Or will he – more likely – continue last weekend’s 4-2-1-3 formation against Walsall that saw greater solidity? It probably depends on whether Billy Clarke – who scored the winner last week, but was poor – keeps his place or if McCall opts to bring the fit-again Nicky Law into the side. Charlie Wyke picked up an injury late on against Walsall but was able to finish the game. 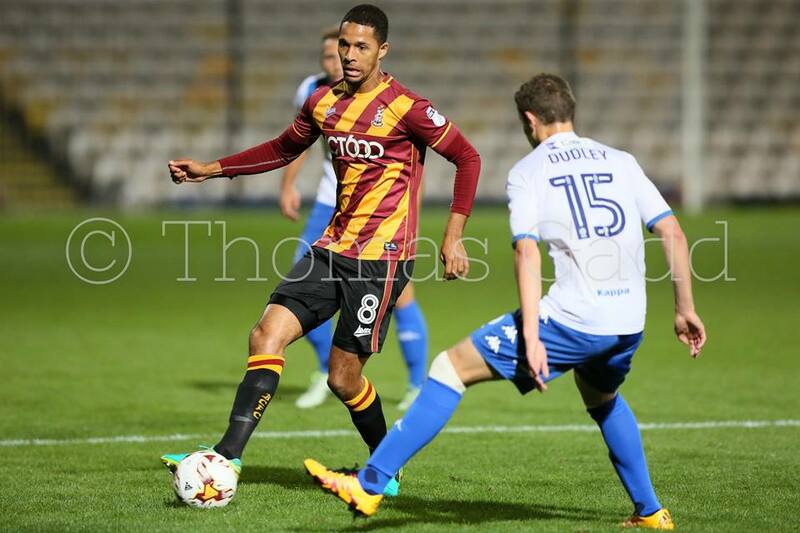 There is a growing focus on Wyke’s failure to score away from Valley Parade so far. A Wyke goal at Gigg Lane would be very welcome. The pre-match debate: Would you prefer Romain Vincelot play in defence and midfield? “It’s difficult to get away from that fact that our defensive record was better when Vincelot was partnering Knight-Percival at CB. People voiced concerns about him being dominated in the air but he stood up well to this threat when required, Bolton away bring a prime example. Knight-Percival’s individual form was also better when he partnered Vincelot compared with when he’s been partnering McArdle. I think that this had a lot to do with Vincelot being more of an organiser and a talker than Rory. “I’ve been fortunate to also play in two positions as a fan this season. Sometimes sitting in the upper Kop and mainly in the lower. I’m a fan of Vincelot at the back as the dimension of passing class is addressed from front to back, I was disappointed that he has been moved to midfield. From up high in the Kop it’s clear to see his legs whist they haven’t quite ‘gone’ take some time to get up to speed. This is particularly evident when he has to try chase an opposition player breaking away. “When he was in defence he has the intelligence to give himself room to ‘play’ his opposition. Therefore, I think this is his best position. However, having said that Knight-Percival and to a lesser extent McArdle may not be the dominant type player he needs to play alongside him, particularly in this division. Here I’m talking physically robust rather than talkative. How great would a back two of Andrew Davies and Vincelot have been? “Counter intuitively perhaps Vincelot may be better suited to playing at the back in the championship. I think he’d be well overrun in midfield. Bury have scored the opening goal in 12 of their 20 home games this season – and gone on to win 60% of those matches. City have only won one game away from home after the opponents scored first (at Northampton). If City go 1-0 down, be concerned. City have the third best away record in League One and will be able to count on a healthy City following to cheer them on. They’ve not failed to score in 15 games, netting in each of their last seven away matches. I can see a high scoring game here 3-1,3-2 but hopefully to us. Give James Vaughan a clout early in the game and hopefully he’ll go off or be ineffective. Regarding the play-offs I would happily take 4th place and Scunthorpe in 5th and play them over two legs. I would prefer Scunthorpe over any team in the play-offs at the moment including Millwall if they got there. Where to play Vincelot? I preferred him in defence. He’s been excellent all season, and was a good acquisition. A very exiting few weeks is upon us. We are still in fourth with all the games in hand played, though its very very tight! I agree with all your comments. I desperately want City to reach the play-offs, and would love to go to Wembley again. 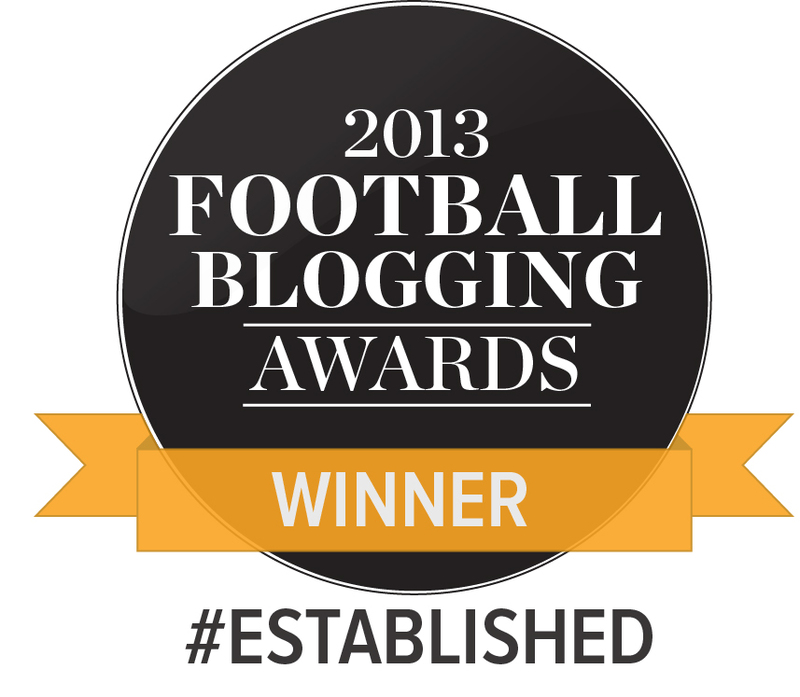 But, considering where we were last June, I really believe that, whatever happens, this season has been a success. Please let us be elated if we succeed, but not too downcast if we do not. Remember that our owners say they are long-termists. Having said all that, I would still be miserable if we failed. “We don’t need to worry what other teams are doing- if we play well and win our matches, we’ll make it.” Game on. Really interesting post from David Lawrence on his different outlook based on where he sits at VP. My view of Vincelot from the lower kop is that he gets around the pitch well and always puts 100% effort in (I’m not saying that’s right). Despite being one of the smallest players in the squad, he’s been one of the strongest players from set pieces and I would continue with him playing in centre midfield with Cullen. I haven’t quite got to grips with what Dieng actually does and despite looking like having all of the attributes to be a great footballer, he doesn’t seem to do enough when he plays. As we aim for the playoffs, I think McCall needs to settle on a regular formation and team where possible. He appears to be too quick to adjust to opposition tactics in recent home games and I hope that he has more confidence in his original selection going forward.